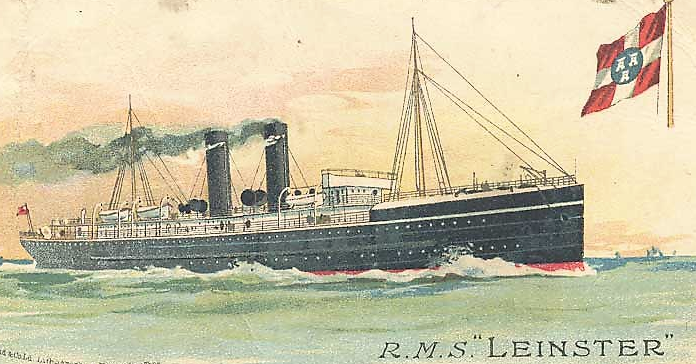 On the 10th of October 1918 the RMS Leinster was torpedoed and over 500 people were drowned. Amongst those drowned were a number of Waterford people and their story has not previously been told in detail. The Musgrave sisters of Tourin House were two of those drowned and they are commemorated on a monument at Affane graveyard. Author and former county librarian Donald Brady has been researching the subject and the Waterford casualties. 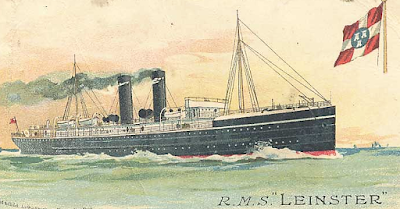 To mark the 100th anniversary we are delighted that he will deliver a public talk titled: 'The Sinking of RMS Leinster 10th October 1918: The Waterford Victims' on Wednesday the 3rd of October 2018 at 8pm in the Dungarvan Harbour Sailing Club, Davitt's Quay, Dungarvan. Admission is €5 and all are welcome.